DSK Benelli has just launched their newest motorcycle, the TNT 25 in India. The Benelli TNT 25 is priced at Rs 1.68 lakh ex-showroom for the base version that wears MRF tyres while the premium model, which is Rs 7,000 more, gets Metzeler tyres. While we wait for the test bikes to arrive, here's a quick look at how the TNT 25 slots in to the market. First of all, let us get the similar parts out of the way. 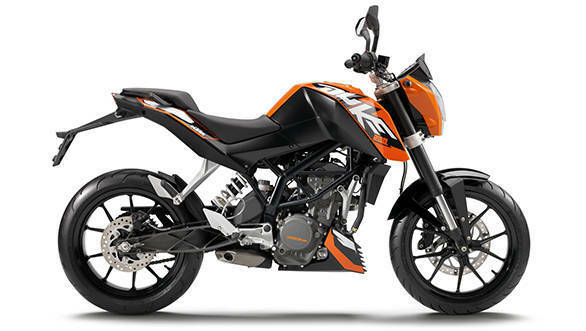 The Mojo uses a twin tube frame while both the KTM and the new Benelli use a steel trellis frame. All three have upside down front forks and preload adjustable rear monoshocks. None get ABS and the Mojo has the biggest front disc brake at 320mm while the Benelli and the TNT use 280mm front rotors. Finally, all three use exactly the same tyre sizes but the Mojo's Pirelli Diablo IIs are the softest and grippiest. Next come the Metzelers on the premium TNT followed by the MRFs which make a shrewd choice of trading in grip and softness for longevity and a lower (replacement) price. But there are three things that stand out in terms of differences. The Mahindra claims to be a tourer and gives that assertion credence with the longest wheelbase here by quite a margin. The Duke has the shortest one at 1,367mm and the TNT slots in between at 1,400mm. Add in a 17 litre tank on the TNT 25 and you're probably looking at an effective tourer that's a lot sportier than the Mojo. At least that's what the spec sheet promises. Of the three, the TNT 25 also promises the biggest engine output. But that's an easy trap to fall into - notice the weight. We know the Mahindra is very heavy at 165kg and the TNT is unfortunately only 6kg lighter than that. The Duke is 23kg lighter and that not only gives it a vastly superior power to weight ratio but more or less guarantees that the 200 Duke will be the performance king here. 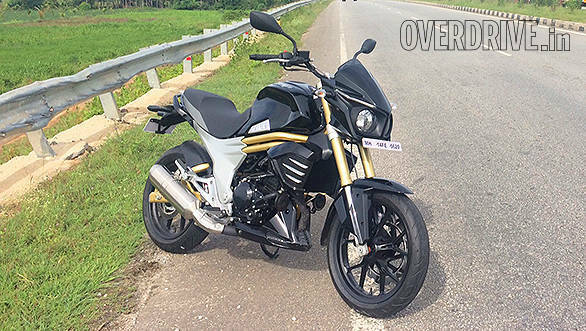 Given that the 390 Duke is just Rs 22,000 and 15,000 more than either TNT variant, the Benelli's outright performance promise is good but not the segment's best. 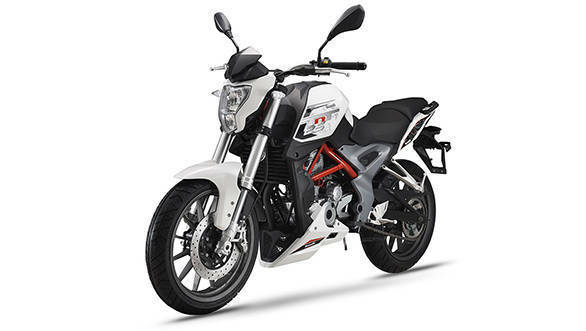 However, if Benelli have geared it right - sort of like the TNT 300 - then there is a chance that the TNT 25 will turn out to be a lovely motorcycle out on the highway where the ability to cruise and pass smoothly, outweighs outright acceleration or top speed. Where the TNT does underline that promise is in torque - at 21.61Nm it makes over 10 per cent more than the Duke though the Mojo's devastatingly effective midrange (30Nm!) is the one to beat amongst his trio. Finally, lets look at the price. The Benelli seems to be a bit high in price and this isn't hard to understand. Both the Mojo and the 200 Duke are made here in India while the Benelli is imported as a CKD and assembled by DSK Benelli, which carries a higher duty burden. Which is why, the pricing looks skewed by about Rs 25,000 higher than it should be in our books. That said, the proof of the pudding is in the eating and we're hoping that the TNT 25 offers a distinctly different character. You see, the Mojo is a very specific, quirky taste and you'll either love it or you'll ignore it. The 200 Duke is mildly anti-social as well and is likely to infuriate riders as much as it is likely to make them swoon. There is still space here for a normal 250cc motorcycle that'll commute quietly, cruise the open road with gusto and enthusiasm and have enough performance to keep riders engaged. Is the Benelli TNT 25 that motorcycle? Look for a full road test shortly.